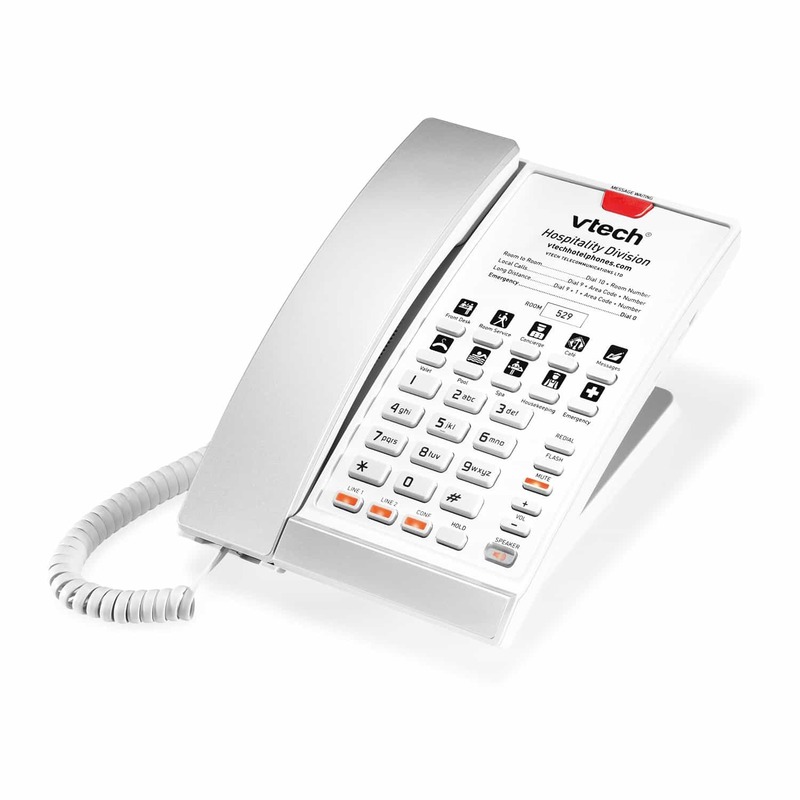 Make your guests feel right at home with this two-line, corded SIP phone. Elegant styling lends a modern, fresh touch to guest rooms, while innovative features, like a USB charging port, keeps guests plugged in and productive. Also available in Matte Black and Silver & Black.